Take control of your digital phone system! No more costly service calls for system programming. Do it your self installation. E System Sales Support. Providing unlimited programming and installation support on NEC, Panasonic, and Bizfon Small Business Phone System with a minimum purchase of $749 through E System Sales, Inc. web based support help desk. Our web based support help desk is available to our customers 24 hours a day and is filled with FAQ's, installation and programming how to's. 2 Year Warranty on NEC DSX telephones and hardware, 2 Year Warranty on Vodavi Starpluss STS telephones and hardware, 1 Year Warranty on Bizfon 680 telephones and hardware, 2 Year warranty on Panasonic KX-TA and KX-TD telephone equipment. Small Business Phone System Starter Kits. Kits and hardware additions available at reduced costs for each system E System Sale Phone System. All of our small business phone system starter kits are affordably priced so you purchase only what you need. Look in your phone room. 90% of all phone rooms already have pre-existing plywood mounting boards, blocks, cables, and wiring. Request a Quote. Give us 2 minutes of your time. Our knowledgeable sales reps are standing by to take your phone call with technicians on call to answer any technical questions you may have concerning a small business phone system.. Please call any time as we would always be glad to hear from you. 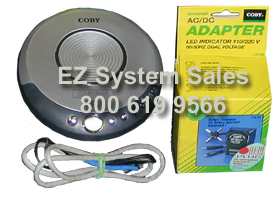 Nationwide local installation affiliates available in your area for immediate installation. All you have to do is say yes and we will have your new small business telephone system installed within 10 days. Be careful of Extended Warranties. As the dealer selling the telephone equipment will carry the extended portion of the warranty. So if your have a 1 or 2 year factory warranty and you buy a 2 year extended warranty that equals a 4 year warranty the dealer will carry the extended portion of the warranty. The problem is what if the dealer is no longer around when the extended warranty kicks in. E System Sales has chosen not to get into the Extended Warranty market as it is misleading to the consumer. with purchase of $1200 or more. Isn't it time you take control of your small business telephone system? Find out how easy small business telephone system programming can be and never have to rely on costly technician service calls ever again with our web based support desk available 24/7, Holidays and Weekends. Ask us how we can reduce your phone costs! Concerned with the outbound and inbound calls being placed thru your small business telephone system that are not business related?. E System Sales has not been very successful in selling used and refurbished telecom equipment in the past. Especially with the very popular Nortel Equipment like the 3X8, the 616 and the 824, as that telephone equipment is so old and has been around to so many end users. The refurbished telecom equipment we sell has either a 1 year or an 18 month warranty, that tells us our distributors and manufacturers have enough confidence in their products. After careful review and consideration we put the Nortel MICS, Nortel CICS and the Vodavi Starplus and Triad line on our shelves.